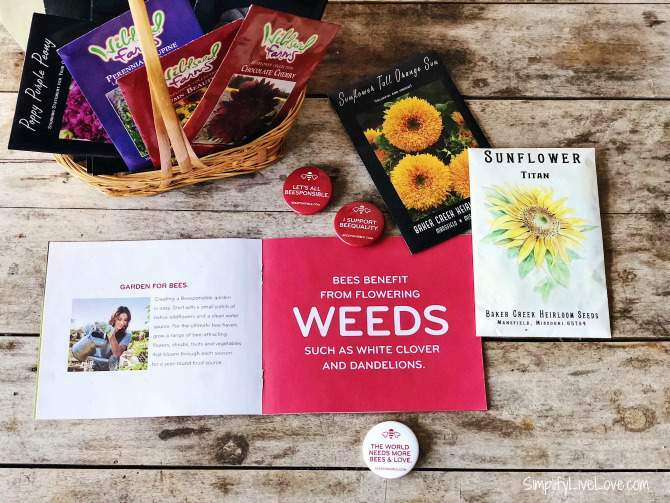 If you’re looking for easy ways to help save the bees, check out this long list of bee friendly plants and learn about the Beesponsible® and National Wildlife Federation’s pollinator-friendly, pesticide-free gardening efforts called Don’t Kill My Buzz. It’s easy to take action and help save the bees. You CAN make a difference. Bees are amazing creatures and we can thank them for nearly 1/3 of the food we eat because of their ability to pollinate plants. Honeybees also provide us with amazing healing and healthy honey. Sadly, bee populations are declining at a rapid rate. They’re very threatened and need our help. Luckily, it’s not that hard to do right by bees. One super easy, and beautiful way to help save the bees is to plant bee friendly plants in your landscape and garden. 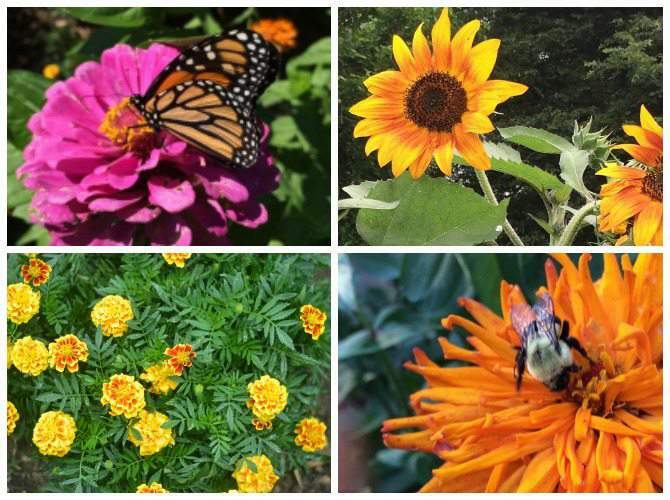 Not only do the plants provide food for the bees, but they also help our gardens thrive. You can have a big impact on bees simply by adding bee friendly plants: flowers, shrubs, herbs, and even trees to your landscape. The plants below are perfect for my gardening zone, Zone 5. 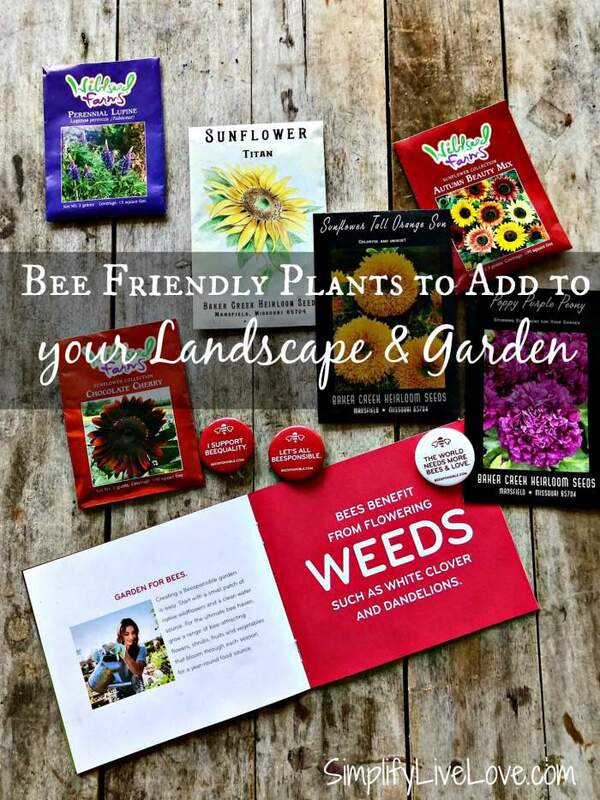 To find bee friendly plants for your area, check out the interactive map found here. 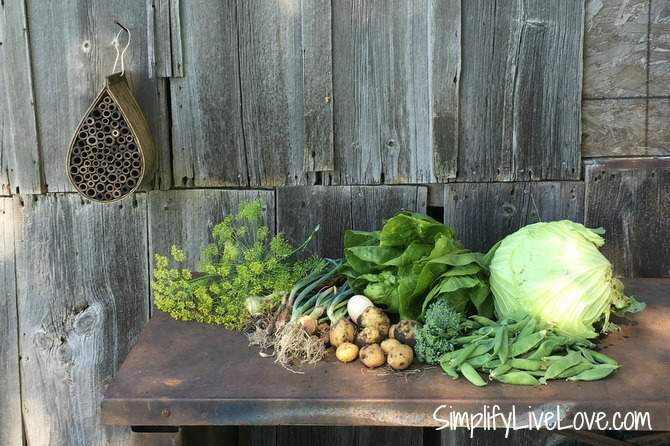 Herbs are ridiculously easy to grow and bees love them too, especially if you let them flower. Every year I look for my volunteer chives. As soon as they flower, the bees swarm them. It’s beautiful to watch and I don’t have to do anything at all to grow the chives. In fact, I didn’t even plant the chives in the spot they return to each year in the first place! They just appeared there one year and I decided to let them grow year after year. If you can, add a few useful herbs to your landscape or garden. 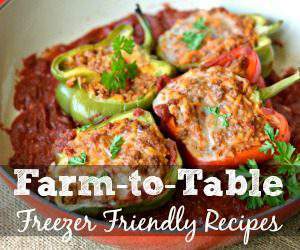 You will be rewarded not only with happy bees, but yummy food you can use to cook with! 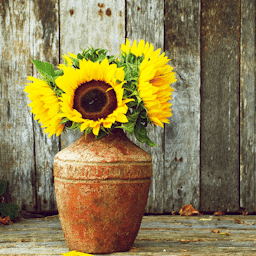 Not only are many of these flowers, herbs, bushes, and trees bee friendly, but many of them also make amazing companion plants. You definitely want companion plants in your garden not only to attract beneficial pollinators like bees, but to ward off bad bugs too. Learn more about companion plants here. Even if you can’t add a few beautiful plants to your landscape, there are lots of other ways to get involved. Following are a few more ways to help bees. Chemicals on your yard or in your garden are very harmful to bees. If at all possible, stay away from pesticides and herbicides at your house. I know a lot of people hate dandelions and clover for some reason, but bees really love them. If you can embrace native plants and leave the weeds alone, the bees in your area will be a lot happier. It’s not that hard to set up bee-friendly habitats. Besides plants, all they need is shelter and water. 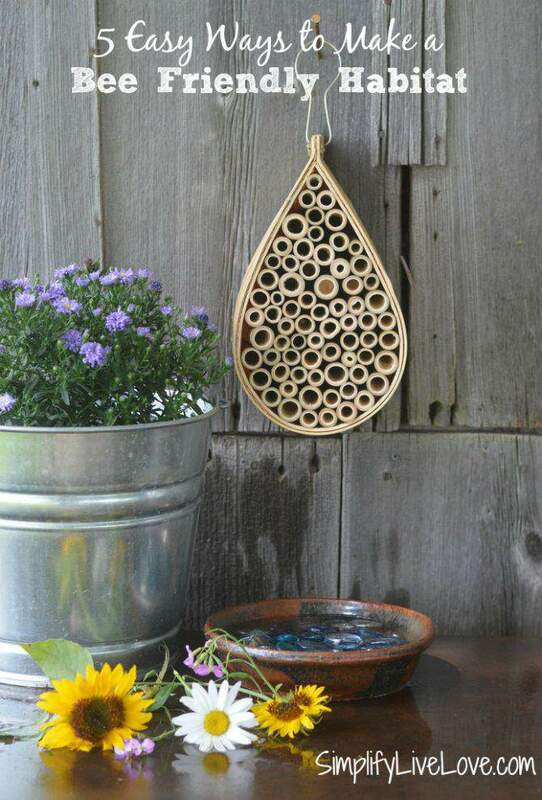 You can buy a little bee house, make sure they can access water they can’t drown in, and plant a few of the plants I shared above to make sure they have food. Super easy, right? Learn how easy it is to set up a bee-friendly habitat here. Think about the impact your food has on bees. Food produced with lots of chemicals is not healthy for bees and in my opinion, isn’t healthy for people either. 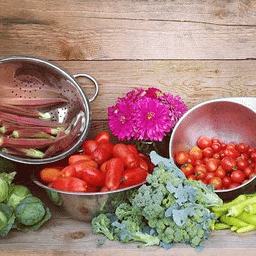 If you can, add some organic food to your diet. 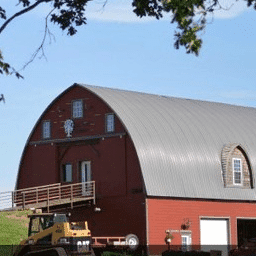 Meet the farmers who grow your food and talk with them about their growing methods. Make conscious decisions to buy food that’s grown with fewer chemicals. The bees will thank you! Keeping bees is a great way to help bees and is something I am doing for the first time this year. I’m so excited to get my first hive of bees in early April. I have a lot to learn about keeping bees, but I’m really excited. Not only is it a helpful for the bee population, but in Iowa, people who keep bees can register with the state to let farmers know they need to be careful with their chemical applications in the fields all around us. I’m not sure how that will work out yet, but I’ll keep you posted. 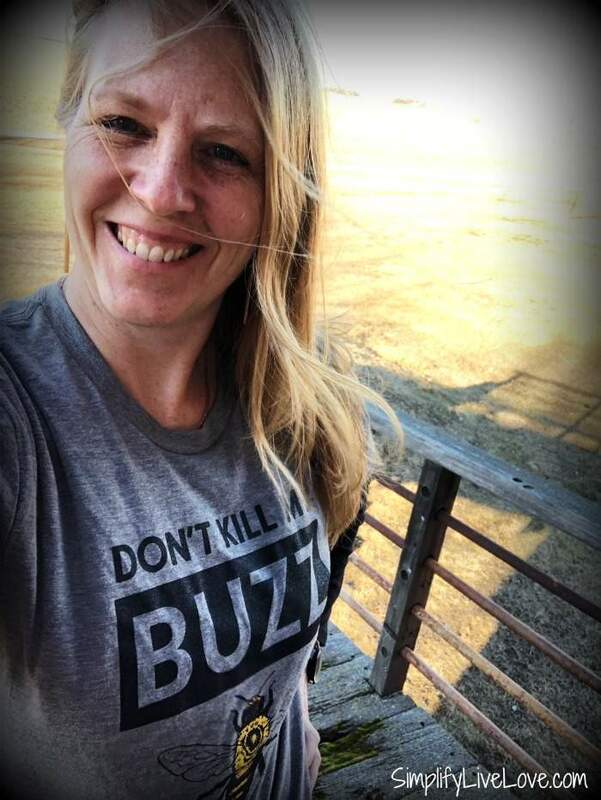 Buy an amazing (and soft) “Don’t Kill My Buzz” t-shirt on Beesponsible®. I’m sporting mine in the photo above. You’ll get a nice t-shirt, and Beesponsible® will donate $5 from every t-shirt sale to NWF. After you get your shirt, share or RT a selfie in your shirt and Beesponsible® will donate $1 for each share and RT to NWF (up to $100,000). Make sure to tag @Beesponsible and use #DontKillMyBuzz. You can also share steps you’re taking to help the bees on social media. Again, make sure to tag @Beesponsible and use #DontKillMyBuzz, so Beesponsible® can donate another $1 to NWF (up to $100,000). To learn more about how you can help the bees and the Beesponsible® program, head over here! 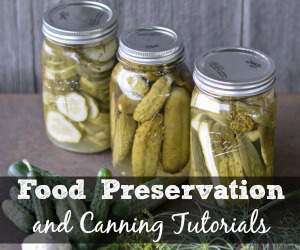 There’s lots of great information on their website. How do you help bees? This is a sponsored conversation written by me on behalf of Beesponsible®. The opinions and text are all mine. Bees are amazing creatures and are vital for so many of the foods we love. I was actually in California last month and went to UC Davis's Bee research center and they said that bee populations have been steadily increasing every year after colony collapse initially hit ten years ago or so and that they are continually doing research on colony collapse. Good luck as your first year as a bee keeper!